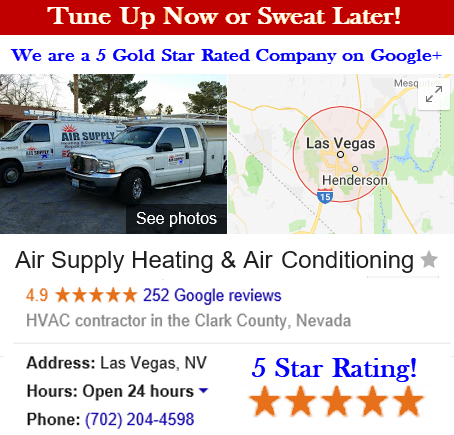 Air Supply Heating and Air Conditioning professionals have been servicing the Las Vegas Valley over 25 years. 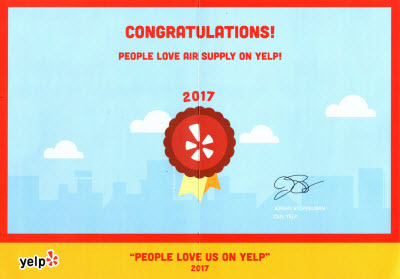 We have become a trustworthy HVAC company that has earned a good and reliable reputation to provide emergency services day or night. 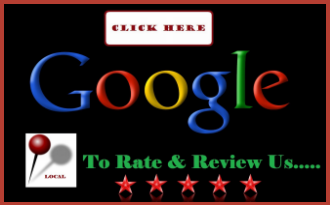 With our experience and expertise our number is set on speed dial to serve residential and commercial heating repair. –	Carbon monoxide alarm is sounded, call us immediately! –	Furnace refuses to power on. –	Cool air is being blown from the heating system. –	Furnace is making banging, scratching or any other kind of noises upon switching on. –	The furnace blower is continuously running. –	Rooms throughout the building are warmer than others. –	Ignition control or pilot light are malfunctioning. –	Heating bills are uncommonly high. –	Odors are being emanated from your furnace. Our specialists at Air Supply Heating and Air Conditioning have the skill and knowledge to quickly diagnose the problem. After the appropriate diagnosis, repairs are performed to satisfaction; getting your furnace up and running again. Common contributing factors tend to be, clogged filters, broken or damaged mechanical parts, pilot light failure, thermostat maintenance or repair, corrosion, dust, rust or other fine particles of debris interferes with smooth operating or fan malfunction. With so many circumstances surrounding the need of furnace repair, it is highly recommended that only a trained professional performs the repairs and inspections. Appliances are extremely fickle, one day they can be running smoothly and efficiently, and the next day they are protesting and struggling to serve their function. With regular maintenance and tune ups conducted by a professional from Air Supply Heating and Air Conditioning, the emergency furnace repairs are minimized. Catching minor problems, making adjustments and ensuring the moving parts are kept cleaned, and lubricated where needed, the furnace can be spared major malfunctions. It is never a convenient time when the furnace is need of repair during operation. Knowing that Air Supply Heating and Air Conditioning is ready to serve you 24/7 is a comfort. Even the winters in the Las Vegas deserts can be frigid and harsh, particularly during the night hours. Keeping you, your loved ones or customers and employees comfortable is a major priority. A furnace experiencing any kind of issues, can be repaired at any time with our emergency furnace repair. At Air Supply Heating and Air Conditioning, our specialists come equipped with beneficial attributes. They have been masterfully trained, accrued years of experience, have the skill to apply their expertise, and possess the professional quality, top of the line equipment and tools to conduct any emergency service repair. 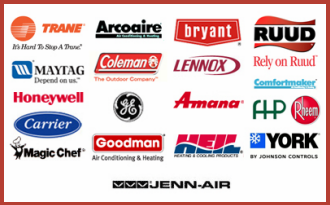 Call us today if your furnace is need of repair.